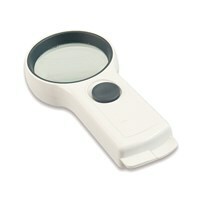 Take powerful 6x magnification wherever you go with the EZOptix Handheld Illuminated Pocket Magnifier with LED Light. 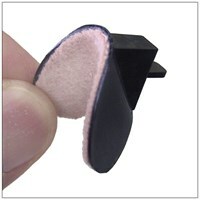 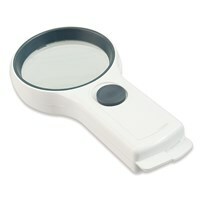 This portable magnifier is lightweight and can conveniently fits in your pocket, purse or handbag. 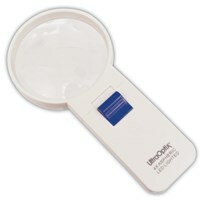 The bright LED light provides illuminated magnification when you find yourself in the dark, making this a versatile handheld magnifier that can be used day or night. 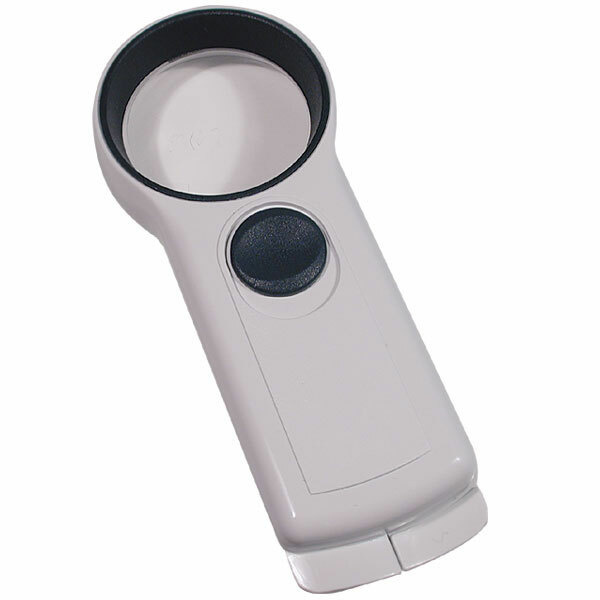 The LED light can be turned on and off with an easy-to-use circular switch that toggles up and down and requires two AA batteries (not included). 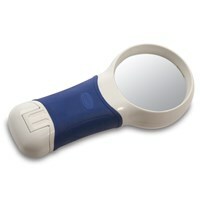 Perfect for anyone with low vision who needs an affordable and portable visual aid for reading or who just wants see things up close just a little more clearly. 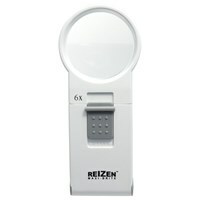 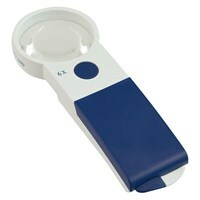 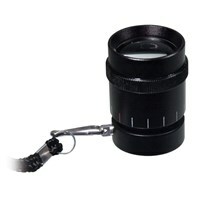 This EZOptix Handheld Illuminated Pocket Magnifier with LED Light provides 6x magnification; 50mm lens diameter. 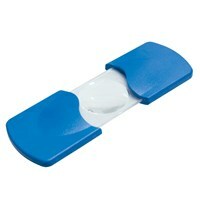 1-year warranty also included. 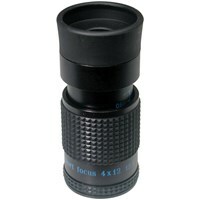 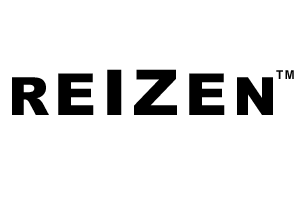 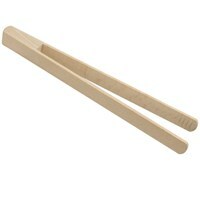 Dimensions are 5.75" (H) x 2.25" (L) x 1" (W); product weight is 2.6 oz.